Last August I posted a meditation that guided you through using the sound of running water to help silence the mental chatter that seems to pervade our minds. 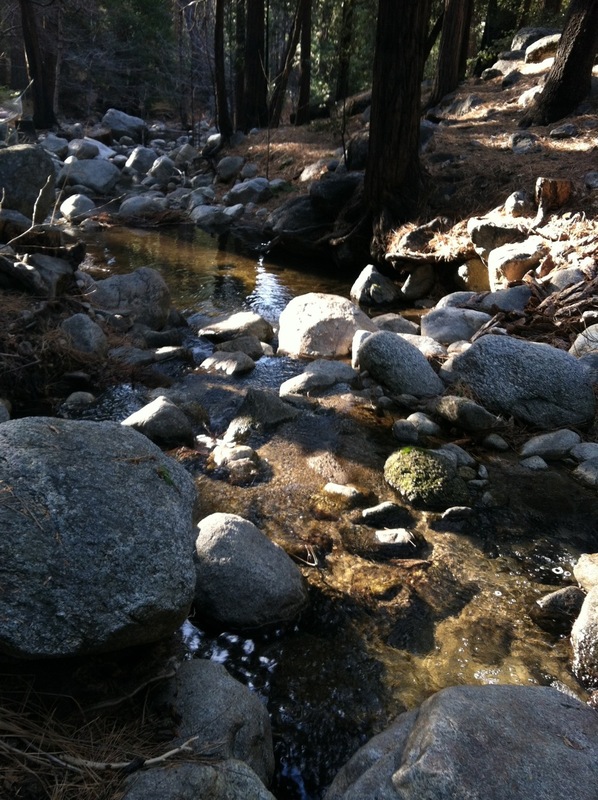 Today I am revisiting it because I am staying in a small cabin with my family for a few days right next to Strawberry Creek in Idyllwild, CA. This morning I went down to the creek with my faithful dog Scooby to take in the beauty. I sat on a rock and closed my eyes and focused on the sound of the water. Nothing stays the same. 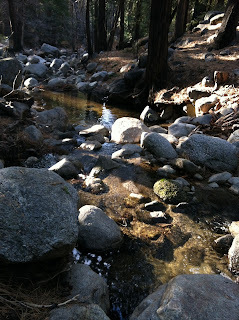 The water rushes by the rocks and twigs, meandering through and around these obstacles to continue on it's path. It is ever-changing. There is no freezing a moment in time. There is no re-living a moment exactly as it was. Each and every moment is unique and so special. Stillness will always be. As I was sitting on that rock listening to the gurgles and flow of the water, I realized that amidst all of that energy and movement, I was still. The rocks were still - they held their ground. All of us have that inner stillness that we can return to at anytime to re-ground ourselves. No matter what chaos is happening around us, no one can touch that stillness. It is ours, and contradictory to my first point above, it does not change. If you would like to try the Flowing Water meditation described in my August post, see what happens if you think about the two points above while you're at it!